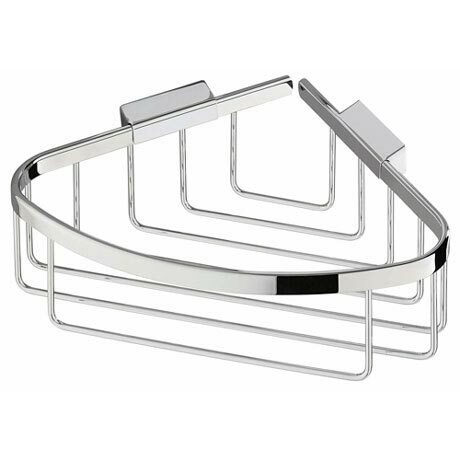 Coram's range of shower baskets are an essential accessory for the cool contemporary bathroom such as this Shower Corner Basket in brilliant polished chrome. Manufactured from solid brass it has simple good looks for today's uncluttered bathroom spaces. Its concealed fixing guarantees that the basket will stay securely in place and gives a more aesthetically pleasing appearance.